BigDomain Review 2019: Is BigDomain a Good Hosting? BigDomain offers affordable web hosting as well as domain registration services. 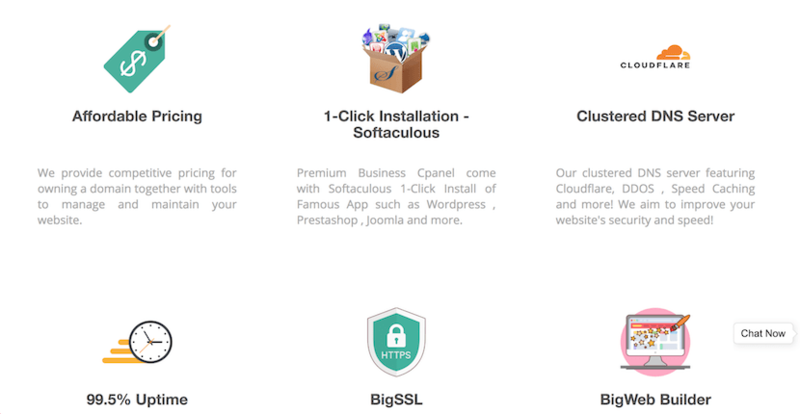 Its packages are nothing to rave about, but the included website builder, Cloudflare, and SSL certificate make BigDomain a decent option for beginners to consider. Founded in 2017 and based in Malaysia, BigDomain offers web hosting, domain registration, web design, and SEO services. Through affiliated companies, trademarking, personal assistant, and accounting services can also be attained via the website. BigDomain uses multiple data centers located in Johor and Kuala Lumpur in Malaysia. Its website and services are available in English. BigDomain offers both free and paid shared hosting. The caveat is that to get free hosting from the company, you’ll have to purchase a supported domain extension. It’s also only for websites created by BigDomain’s free website builder. 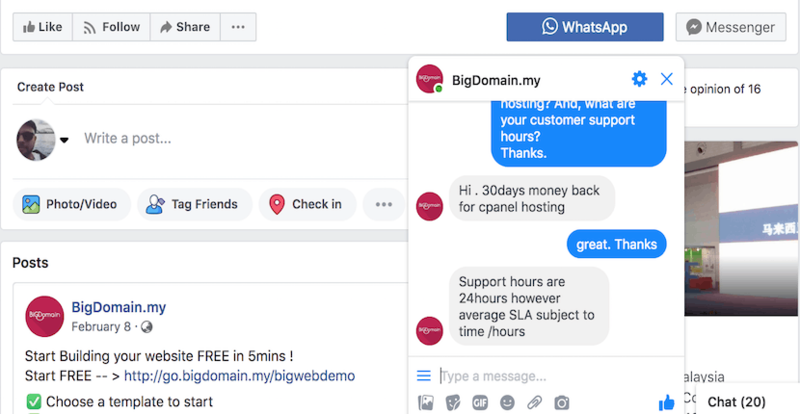 The features of BigDomain’s free hosting package include a Malaysian IP address, business email hosting, Cloudflare and DDoS protection, and a free SSL certificate. That’s pretty good and far more than I was expecting of a free hosting plan. The paid hosting options start with the BigCloud Basic 5GB plan. This includes 5GB of web space (no surprise there), 5GB of monthly bandwidth, ten email accounts, five MySQL databases, and five add-on domains. Frankly, I found the bandwidth allotment for all of BigDomain’s shared hosting plans rather limited. With any of its plans, you get bandwidth equal to the amount of disk space. This means that if you max out your disk space allotment with your website, only a single visitor can peruse your entire website one time before you hit your bandwidth limit. Also, BigDomain’s uptime guarantee is only 99.5%, which is lower than the industry average of 99.9%. All in all, it means that not only will you face limitations with your traffic, but you may see much more downtime than usual with this company. On the plus side, BigDomain offers an in-house BigWeb Builder software with both the paid and free hosting plans. This website builder includes 200 free templates to get you started. It’s also a drag-and-drop builder based around fully-responsive technology, so it’s great if you’re looking to put up a business website that caters to customers on mobile devices. BigDomain’s hosting options start with the free plan, though it comes with the condition that you purchase a qualifying domain. As for the company’s paid plans, the entry-level hosting option is inexpensive and comes with a minimum term of six months. This price is comparable to that of many international providers. After looking at other Malaysian web hosts, BigDomain’s prices are right around average. Hosting can be paid for in different contract lengths ranging from 3, 6, 12, 24, and 36 months. You get bigger discounts if you purchase a longer term. There are no monthly contracts available. BigDomain offers competitively-priced hosting plans and other online business-related services for the Malaysian and Singaporean markets. Paid hosting plans come with a free .my or .asia domain and there’s also a free hosting option with the purchase of a qualifying domain. Wondering how BigDomain stacks up against other Web Hosting companies? Enter any other Web Hosting company and we will give you a side-by-side comparison.